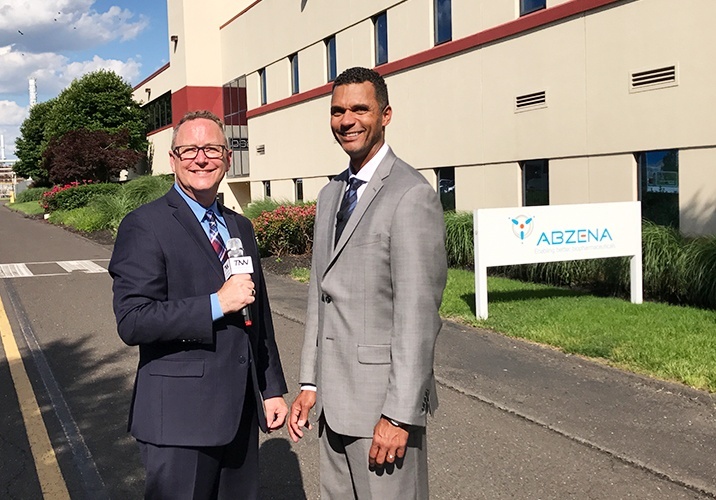 Sven Lee, Chief Business Officer for Abzena, is pictured here at Abzena’s Bristol, PA site, which was named “Best CRO” at World ADC in 2016. Watch the full interview. To meet the growing demand for ADCs and other antibody-based biopharmaceuticals, we have combined a range of emerging technologies to support the full spectrum of activities involved in biologics and HPAPI drug development. We have ongoing investments in global facilities, equipment and personnel to enhance our ability to serve as a partner to developers of innovative therapies. Our Bristol, PA site was named “Best CRO” at World ADC in 2016 and offers toxic payloads, payload-linker constructs and novel derivatives for ADCs and other highly potent and conventional compounds and bioconjugates. The first verification run for the GMP preparation of payload-linker construct of monomethyl auristatin E (MMAE, vedotin), a well-known and well characterized highly potent antimitotic agent, was completed in Q1 2017, and the Bristol, PA site should be a fully validated GMP bioconjugation facility by Q1 2018. In Cambridge, UK, our immunology, protein engineering, bioconjugation and cell line development groups provide the discovery and development of antibodies and recombinant proteins with the desired binding affinity and specificity, attractive physicochemical properties and required safety profile. We also developed our proprietary ThioBridge™ ADC linker technology in Cambridge, which allows site-specific conjugation without disruption of the protein’s tertiary structure, enabling the creation of more stable, homogeneous and effective ADCs. We have a selection of other cleavable and non-cleavable linkers and spacer molecules for use with a variety of conjugation technologies. ADCs have attracted interest from the success of the first two FDA-approved products, with over 100 in the discovery/preclinical stage, phase I or II. It is not surprising that the ADC market is growing rapidly, with different market research firms predicting CAGR from 20 to 40% over the next seven years, and 10 new ADC commercial launches through 2025. 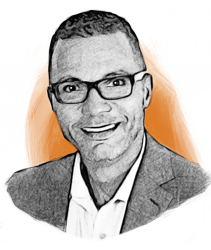 Formed through the acquisition of Antitope, PolyTherics, TCRS and PacificGMP, Abzena has unprecedented expertise in both biological drug substance and chemical API technologies, enabling the development of better biopharmaceuticals, including ADCs. Abzena has specialized manufacturing facilities, equipment and highly trained operators who can perform advanced synthetic chemistry and purification techniques under well-established administration and engineering controls. Additionally, the ability to perform the bioconjugation of highly potent payloads to antibodies using our proprietary linker technology gives us a unique advantage as an ADC service provider. Alongside our expansion in Bristol, we are simultaneously growing our process development capabilities in San Diego to help clients develop more robust, predictable processes for GMP production of antibodies. Abzena is a growing international life sciences services and technology group enabling the selection, development and manufacture of better biopharmaceuticals from worldwide facilities. Abzena's integrated offering includes solutions for the development of antibodies, antibody drug conjugates recombinant proteins and pharmaceuticals. Abzena is currently expanding its manufacturing facilities in San Diego, CA and Bristol, PA to add increased capacity for contract manufacturing of products for clinical trials.